What's happening with Seattle's newest stadium? Seattle has two major league stadiums in its SoDo District—Safeco Field (where major league baseball team the Mariners play) and Century Link Field (where two major league teams play, the Sounders and the Seahawks). However, two stadiums may not be enough. Seattle may at some point add a third arena—a basketball/hockey arena, largely planned by Seattle native and investor Chris Hansen. The path to adding a new arena into Seattle’s already tightly packed city fabric has not been smooth. While initial King County and Seattle City council votes saw approval for the new arena, more recent city county votes have gone against giving up parts of busy Occidental Avenue for the potential arena. In the past, possible lawsuits from the longshoreman’s union for potentially impacting the Port of Seattle in negative ways also interfered with the process. Stadium investors argue that the stadium will bring newfound revenue and jobs to the city and businesses near the arena site, and provide another venue for high-profile concerts as well as sporting events. If and when a stadium is built in SoDo, it will not be for a while yet as the site must go through an environmental impact study and other hurdles in the coming months. Still, the NHL's interest in Seattle is still there so an NHL arena remains a possibility. What kinds of teams will play at the new stadium? This new stadium will be designed for an NBA and/or NHL teams. The arena would allow Seattle to potentially woo back the Sonics, their former major league basketball team. The Seattle SuperSonics were a part of Seattle from 1967 until 2008, when negotiations to upgrade KeyArena or build a new basketball stadium failed. The Sonics were moved to Oklahoma City. They currently go by the name Oklahoma City Thunder and their home arena is the Chesapeake Energy Arena. Doesn’t a new arena mean more taxes for residents? No, this new arena would not mean any new taxes for King County residents. Instead, the $490 million arena will be largely financed by private investors and arena-generated revenue. Where will this stadium be located? The plan is for the stadium to be in the SoDo District, just south of Safeco Field and CenturyLink Field. Will this arena be built for sure? This is one of the biggest controversies and obstacles for the arena plans. With two large stadiums already located in this area and access to the Port of Seattle also crucial, congestion issues are on the radar. Before the arena is built, there will be a thorough environmental study to examine the impact of another large structure in SoDo. Groups like the International Longshore and Warehouse Union and other port workers have concerns about port access with more congestion in the area. How big will the arena be? Current plans are that the arena will be about 700,000 square feet and have a capacity for 17,500 to 19,000 people. What other stadiums are in the Seattle area? 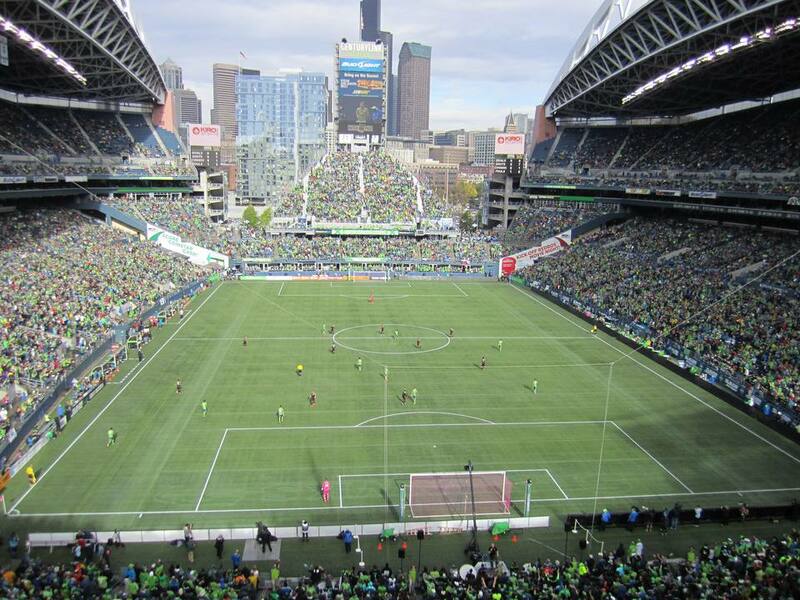 Seattle has three major teams—Mariners (baseball), Sounders (soccer) and Seahawks (football). It also has a WNBA team, the Seattle Storm. The surrounding area also has several smaller or feeder teams, which also means Seattle has a number of existing arenas. Safeco Field is home to the Seattle Mariners major league baseball team. CenturyLink Field is home to the Seattle Seahawks football team. KeyArena in Seattle Center was the former home of the Seattle Sonics and current home to the WNBA Seattle Storm and Seattle University Redhawks. South of Seattle are the Tacoma Dome and Cheney Stadium, both in Tacoma. Tacoma Dome has been home to major league teams in the past, including the SuperSonics from 1994-95. Cheney Stadium is home to the Tacoma Rainiers minor league baseball team. More information about Seattle’s new arena.